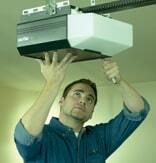 Choosing quality garage door openers is definitely a must. And by quality, we mean openers which meet the UL 325 standards. In other words, they have the necessary safety features to protect you from accidents. But no matter how necessary is to ensure safe garage door performance, this is not the only factor to consider when you get ready to select a new opener. Getting ready for garage door opener replacement or is this a new garage? 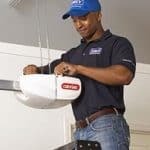 If you want to replace the existing garage door opener, you will most likely get a similar model in terms of type & size. But if this is the first time you get an opener, you must check how high the garage ceiling is. And if there is enough space. If you don’t have enough space or the ceiling is too high, you might need to get a jackshaft opener. Liftmaster makes such models. Which garage door motor you need? The first thing that comes to mind when thinking about garage door motors is their power. But that’s not the only thing to consider when you shop around. The noise levels and whether or not your new opener will integrate modern security features and will be WiFi enabled will also depend on the motor. So, let’s take a closer look. How much power? It always depends on the weight of the garage door. Standard residential garage doors won’t need more than ½ horsepower. The heavier the door, the more power you need. But remember, the opener doesn’t really move the door. Garage door springs do. Openers just enable automatic operation. And so when the motor is powerful, it will perform stress free. DC vs AC motors! Direct current (DC) motors are the latest technology. And so they support last generation features too. So, if you want an opener with a soft start and stop system, automatic alerts, internet connectivity, and a backup battery, you need to get a DC motor. If not, you can stick to the old fashioned Alternating Current (AC) motors. They are old technology, bulkier, and noisier. Pay attention: you might come across the terms horsepower comparable or horsepower similar when checking out DC motors. Since the power of these types of motors is not translated in horsepower (like AC motors), the label gives you an idea of their comparable or similar lifting power. Noise levels play a role with attached garages. You might want to hear the garage door opening or not. So when it comes to trolley openers, which are the common types, you can choose between screw, chain, and belt drive openers. The truth is that Genie is perhaps one of the few companies, which still makes screw drive openers. The most popular options are chain and belt ones. The former is preferred for its low cost and durability. But the downside is its loud noise. The good news is that chain drive garage door openers are not so noisy when they have a DC motor. Belt drive openers work like the chain types but since they utilize a rubber belt, they are silent. They are equally strong but slightly more expensive. The right opener choice depends on your garage door and personal requirements. So select accordingly and never forget the importance of the safety features. That’s why you should give equal importance to the correct garage door opener installation.